“Large-scale and well-coordinated assistance by the international community is urgently needed to support the national authorities’ efforts to contain the devastating impact of the disease,” said Christine Lagarde of the IMF yesterday, adding weight to calls for the presidents of Liberia, Sierra Leone and Guinea to give way to the UN to take over responsibility for managing the crisis. The impact of the Ebola crisis on the economies of West Africa is now seriously affecting the taxation base and revenue streams of the governments of Liberia, Sierra Leone and Guinea. With some of the key industries witnessing a drop in production and export of more than 50%, it is highly unlikely that governments are going to be able to meet their essential budgetary and spending commitments for the rest of 2014 and 2015. The public sector in all three countries, accounts for the highest number of employees, and hence wage and salary payment to government workers has reached critical levels. During the three day lockdown in Sierra Leone, public sector workers were promised payment of their salaries. Tax receipts across the three nations are likely to fall by almost 50% by the end of 2014. Already there are reports from Sierra Leone of increased poverty as prices of basic consumer items rise ahead of declining household incomes. 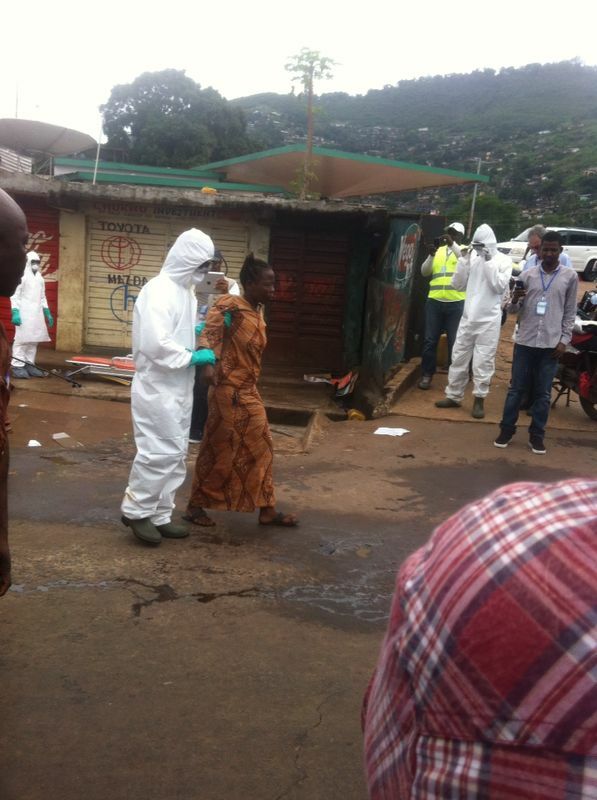 Political analysts say that there is growing risk of social and political unrest, with the worsening Ebola crisis. Yesterday, the IMF Board discussed the impact of the crisis on the three West African states, and concluded that more financial assistance to support the growing government revenue gaps, must be approved immediately. In a statement released yesterday, the IMF said that; “The Executive Board of the International Monetary Fund (IMF) today approved—in an expedited decision supported by a joint statement of all Directors—emergency financial assistance to Guinea, Liberia, and Sierra Leone totalling US$130 million to help respond to the Ebola outbreak. “The IMF financing will be made available to the three countries immediately, in the amounts of US$41 million for Guinea, US$49 million for Liberia and US$40 million for Sierra Leone. “The Ebola outbreak in Guinea, Liberia, and Sierra Leone has already cost too many lives,” said IMF Managing Director Christine Lagarde. “This humanitarian crisis could also have deep economic consequences. 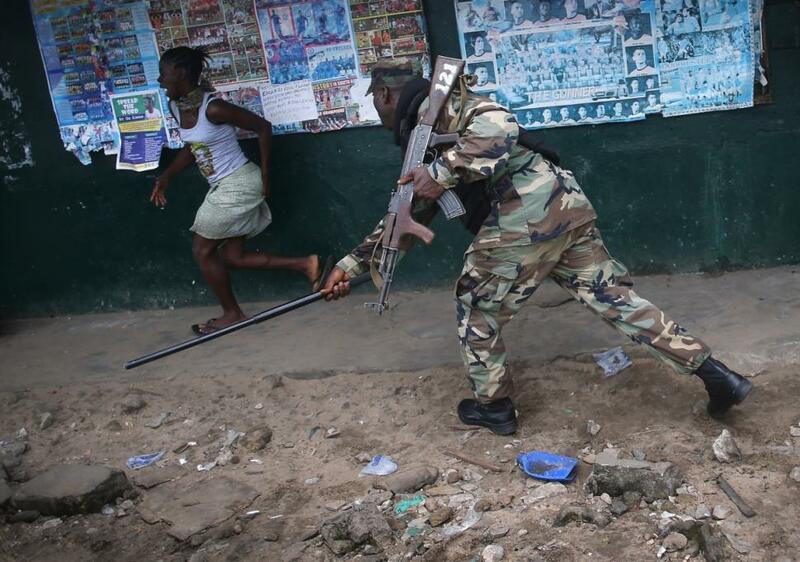 The governments of Guinea, Liberia and Sierra Leone requested IMF support to enhance their efforts to contain this unprecedented epidemic that is disproportionately affecting the most vulnerable in their populations. “The IMF is working hard with the authorities of the affected countries and their development partners to ensure that the outbreak is quickly brought under control and to assist the economic rebuilding effort that must follow. “The Ebola Outbreak affecting the three countries has created a significant social and humanitarian crisis, and has so far proven difficult to contain despite efforts by the respective governments and their development partners. “It is also having an acute macroeconomic and social impact on the three already-fragile countries. The crisis is still unfolding, but preliminary IMF estimates indicate that growth could decline by at least 3-3½ percent in Liberia and Sierra Leone and by about 1½ percent in Guinea in 2014. “Inflationary pressures have flared up in the affected countries, and significant fiscal financing needs have emerged as the outbreak has caused sharp declines in tax revenues and Ebola-related spending had to be increased substantially. “Additional and sizeable budget support from bilateral and multilateral development partners is urgently needed to avoid painful domestic adjustment measures and help eradicate the disease. Ms. Christine Lagarde, Managing Director and Chair, also said that; “The Ebola outbreak is taking a very high human toll in Guinea, Liberia, and Sierra Leone. Unless brought under control, the epidemic will reverse the advances that these countries have made in recent years under Fund-supported programs toward mending their still fragile economies. “Large-scale and well-coordinated assistance by the international community is urgently needed to support the national authorities’ efforts to contain the devastating impact of the disease. Against this background, the Fund’s Executive Board strongly and expeditiously supported the authorities’ request for financial assistance. “The outbreak is affecting Guinea, Liberia, and Sierra Leone in different ways, but in all cases it is expected to reduce economic growth significantly and fuel inflationary pressures. 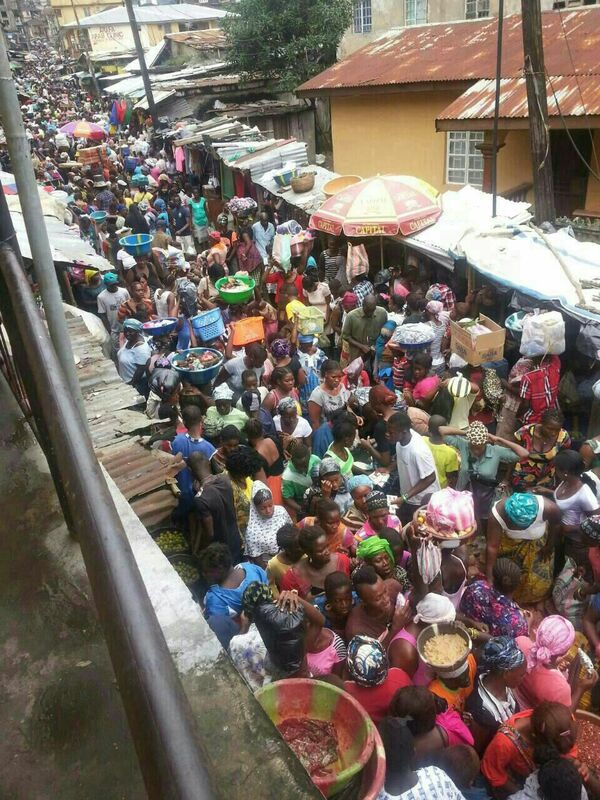 (Photo: Shoppers in central Freetown on the eve of the lockdown). “The poorest and most vulnerable segments of the population are being disproportionately affected by disruptions in commerce and the higher prices of food and basic commodities. “Fiscal deficits are projected to widen due to lower revenues as economic activity slows as well as higher additional outlays on emergency programs. Current account balances are also projected to worsen owing to the decline in exports and the increase in food and other critical imports. “Preliminary staff estimates put the combined financing gap at about US$300 million, provided that contagion is stopped early next year. “The Fund resources made available today will cover almost half of this financing need. Additional balance of payments and budget support from multilateral and bilateral donors is needed to avoid painful adjustment measures and safeguard macroeconomic stability. The rapidly deteriorating health situation underscores the urgency of this support.